Have you ever had the experience of watching dolphins up close? Have you ever played with a whale? and care for and respect the oceans of the world. – any animals in fact – for anybody and everybody. 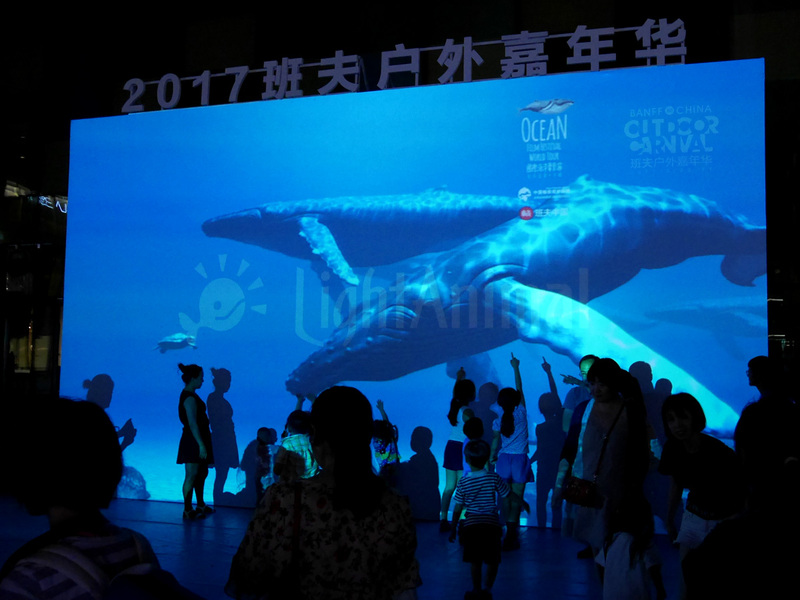 LightAnimal is a new way to experience life-size realistic, exciting and interactive animations of whales, dolphins and other wildlife and their habitats. The moving images are state-of-the-art and can be projected inside and outside on the faces of buildings. Highly recommended for aquariums and museums that want to introduce whales and dolphins to the public but without keeping them captive. 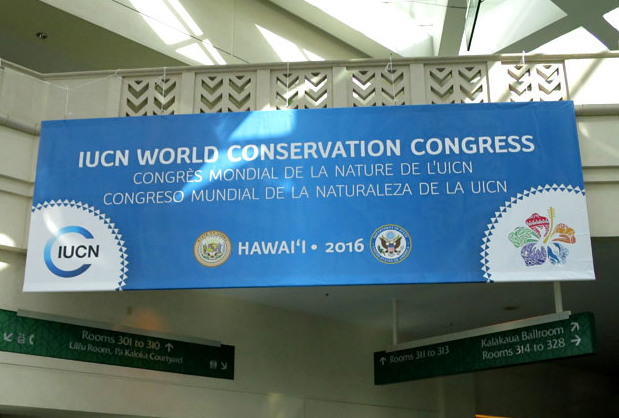 Author, 22 books; Research Fellow, Whale and Dolphin Conservation; and Co-chair, IUCN Marine Mammal Protected Areas Task Force. 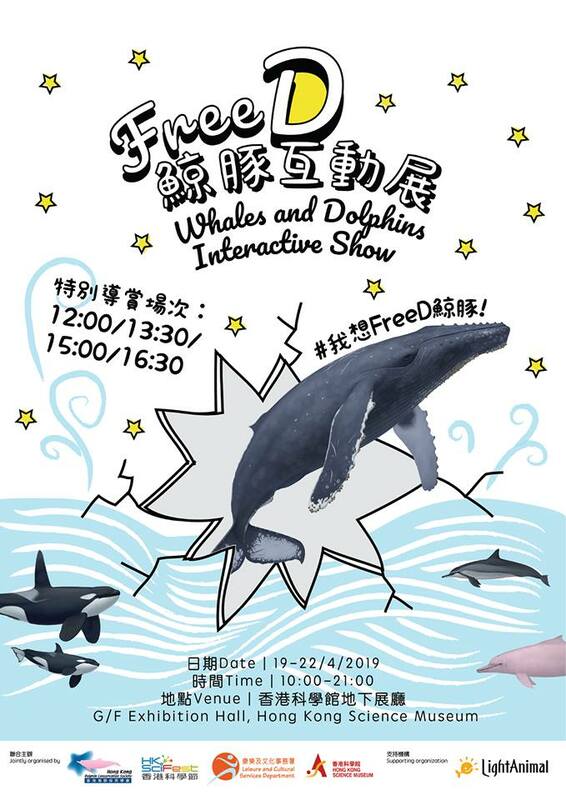 In the exhibition, we will display 2 kinds of dolphins that are exterminated and being exterminated. They are China white dolphin and Baiji. We hope to convey to visitors importance of conservation wildlife by those. We were invited from Banffchina and exhibited LightAnimal as one of the events of Banff Mountain Film Festival World Tour. Haruyoshi Kawai of LightAnimal director also gave a presentation about LightAnimal. We were invited from Banffchina and exhibited LightAnimal as one of the events of Banff Mountain Film Festival World Tour. "Light Animal Magic: Homes for Whales in the Sea" and "Humpbacks return early to Hawai`i for a Special Appearance at Sunset on the Beach in Waikiki"
The best way to learn about animals is to see them up close. Nowadays, However, most people want to avoid taking animals from the wild simply for our own purposes, however well-intentioned. With some animals it’s just impossible anyway – think of whales, which are just too enormous, and dinosaurs, which are extinct! LightAnimal is a digital exhibition system that can provide virtual encounters with any animal species. Its moving images can be shown in any kind of venue, small or large, and it is interactive. Above all, it has no impact on animals in the wild because it is virtual. People can enjoy watching the virtual creations, and simply look and learn. LightAnimal opens up the possibilities of education about animals in a spectacular way. LightAnimal can show any species of animal life size. Our exhibitions of truly enormous animals, such as whales, are magnificent and awe-inspiring. On summer nights in the city, our LightAnimal whales and dolphins bring the ocean to city dwellers in a wonderful, cooling display. 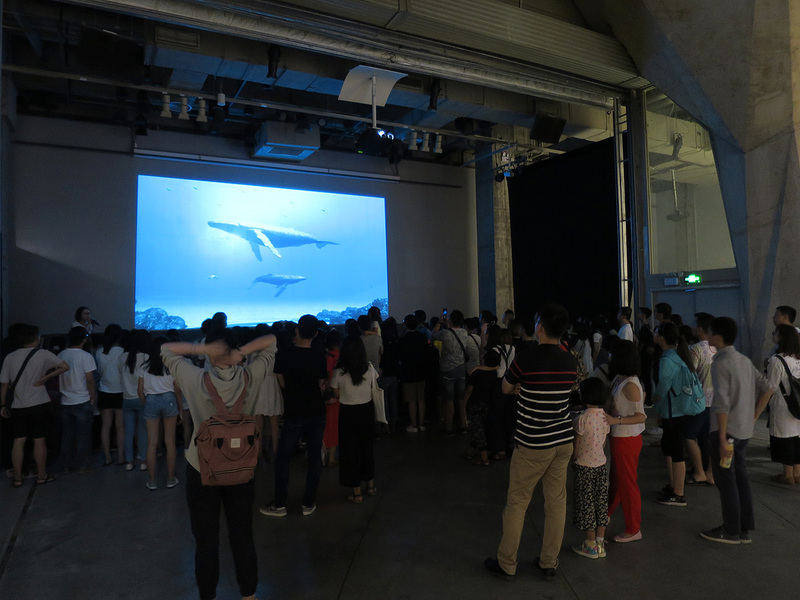 LightAnimal creatures are interactive – which means that if desired they can perceive and react to members of the audience who stand in front of the screen. LightAnimal was created and designed by a marine-life illustrator who has worked in educational media for two decades, and a designer who is passionately concerned about environmental conservation. Both have a strong commitment to render animals accurately and respectfully. We are continually improving LightAnimal capabilities in tandem with improvements in digital technology. One of the things we are hoping to do is to evoke the different ways various animals have of perceiving the world and their place in it (referred to by scientists as "Umwelt"). LightAnimal can be operated in all kinds of venues, including medical facilities, large or small, and it needs only one or two staff to operate. Operation is simple and safe. Such convenience makes for any number of applications — for example, displays in hospitals, schools, museums, art galleries, and environmentally themed events. LightAnimal involves no real animals at all — indeed it has been designed expressly to avoid their harm. It poses no issues to animal welfare or animal rights. Its environmental footprint is extremely light. After obtaining his degree in fisheries sciences, Kawai has pursued a career as a marine mammal illustrator for two decades. His works have featured in numerous aquariums, galleries and museums, and in a wide range of conservation and science-related publications. Kawai created the LightAnimal animation software with the aim of providing a simple, effective and enjoyable educational tool. He is dedicated to art for biodiversity conservation and environmental education. Saikai works as a graphic designer in a wide range of digital platforms. A keen scuba diver, with a passion for the sea and for marine life, Sakai shares Kawai's commitment to marine conservation and happily joined him in developing sophisticated computer graphics that enable people to see how whales and dolphins move underwater. "The more I understand about the effect humans have on the natural world, the more I realize we can’t simply let things be. We have to get as many people on board and willing to lend a hand in protecting animals and the natural environment."